One of the first things you have to consider when thinking about starting your own videography business is whether or not you are suited to owning your own business. As difficult as it may be to hear the truth is not everyone is capable of being in business for themselves. It takes discipline and dedication and owning a decent video camera does not automatically qualify you to be in business. If you are working you might consider taking on a project or two in your spare time to determine if you have the skills needed. Even the best videographers may be able to produce a great product but without the knowledge of running a business, you can find yourself in over your head in a hurry. You will be giving up your time and trading it hopefully for at least some money. The thing to remember is that if you don’t make money at it, it’s a hobby. Although, markets are decked with corporate video production companies, yet if you have a rage and passion, you will surely achieve what you desire. However, if you pass introspection and believe you have the passion for the occupation begin by identifying the type of projects your skills are best suited to produce. You will need to have top quality equipment if you expect top quality production. On top of that since you will be charging for your work, your customers will expect top quality results. Develop a business plan that includes the money you will need for quality equipment. 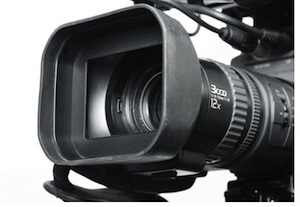 Having a great camera will mean nothing without post-production equipment of the same caliber. You’re going to need to go all in on your equipment if you expect to receive rave reviews of your product. Knowing your competition should have been part of your business plan in order to determine if there is enough business in your area to go around. Compare your skills to others and be honest with yourself in deciding who can offer the best product. Every day will be a learning experience and when the time comes that you decide you know everything about the business, it may be time to find a new line of work. One skill that has raged like an epidemic is video marketing; it’s all about marketing your efforts. So, don’t lag behind in this aspect. Promoting yourself will be the means by which you are measured by potential clients. Put together a website that can showcase your work and don’t be stingy on its design. This is something that shouldn’t be left to a niece or nephew as a school project. You are trying to show yourself as a professional and your website needs to project that same image. You will need a professional brochure as well as potential clients will want something they can use to compare your services and your prices with your competition. Some new business owners tend to offer reduced prices to undercut the competition. This is a really bad way to gain business. Most believe you get what you pay for and when they see exceptionally low prices might think they will get substandard results. Above all, be honest with clients you do get. Especially when shooting weddings as some clients will have expectations that are simply unrealistic. Regardless of your agreement, their expectations can drive you crazy. That is something that goes with the proverbial territory and will simply be a part of doing business with the public. Something they don’t teach in business school.